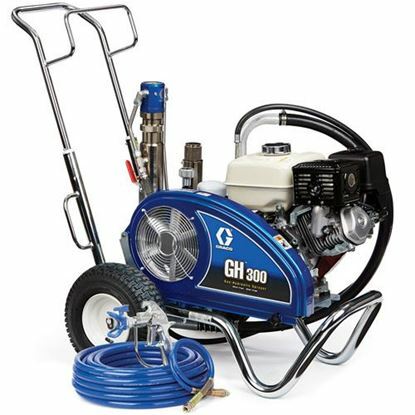 The Graco GH 230 Convertible airless sprayer with 120v electric motor kit (non CSA) is built with a proven Honda 220 cc (6.5 hp) engine. 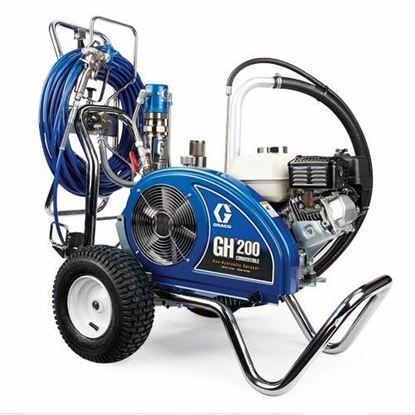 This sprayer is ideal for spraying heavier materials in demanding applications. 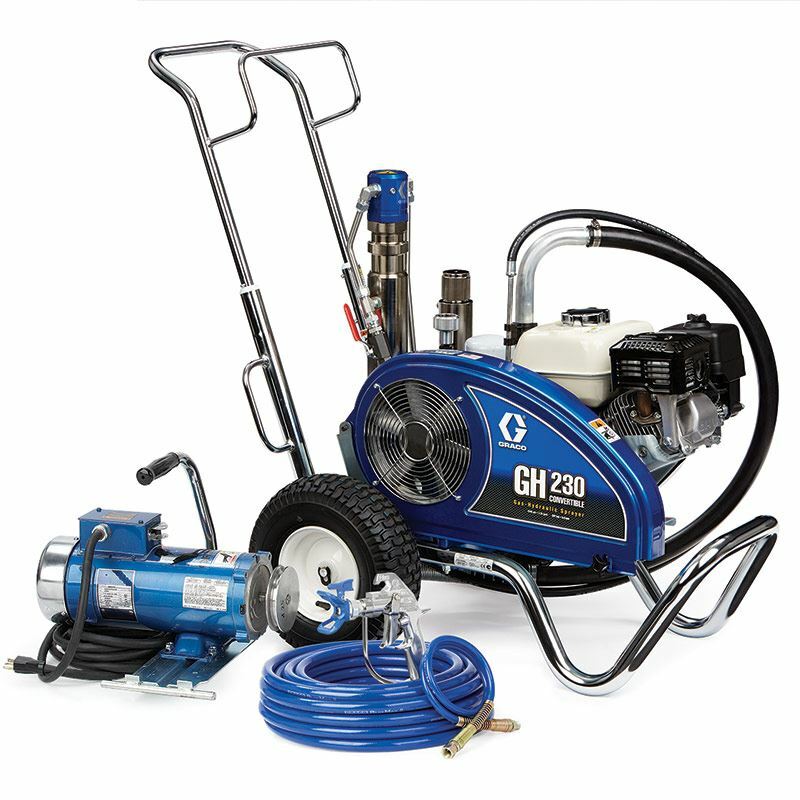 The GH 230 can handle spraying elastomerics, block fillers, gypsum, and dry fall. 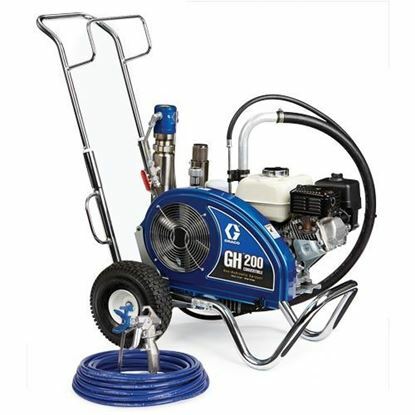 It also has the ability to change out the pump lower and convert to electric power without tools. The High-efficiency hydraulic motor pump delivers rock-solid performance. Equipped with Graco's Endurance Pump - The most rugged and reliable pump on the market.